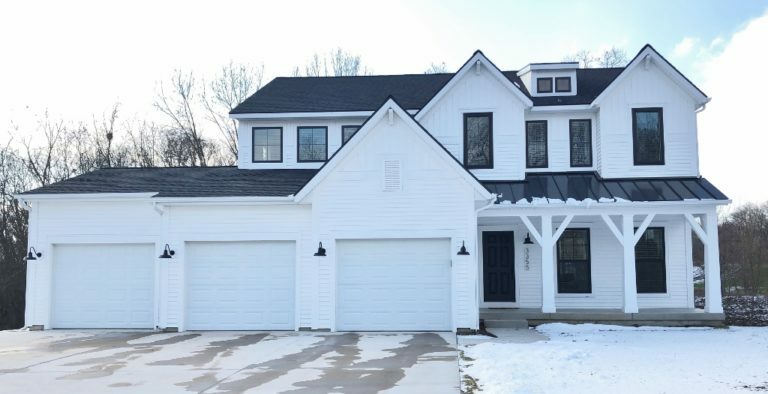 When Bianca and her husband Nicholas started planning for their first home in a Grand Rapids, Michigan, neighborhood, they envisioned a modern farmhouse. Although not a custom-build home, Bianca incorporated thoughtful farmhouse detailing within the design of the stock architectural plans. Like many homeowners, Bianca turned to Pinterest for inspiration. She spotted a beautiful barn which featured Barn Light Electric fixtures and she clicked through to learn more. 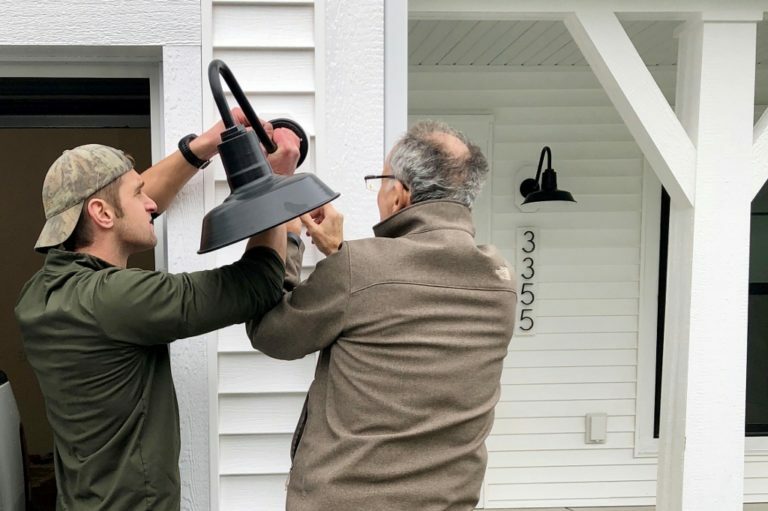 Bianca chose the Original™ Warehouse Gooseneck Light to bring the look she envisioned to her new home. She customized these handspun gooseneck lights with 12″ shades, Black finish, and G26 gooseneck arm. Nicholas gets some help from Bianca’s dad, Leo, with the install. 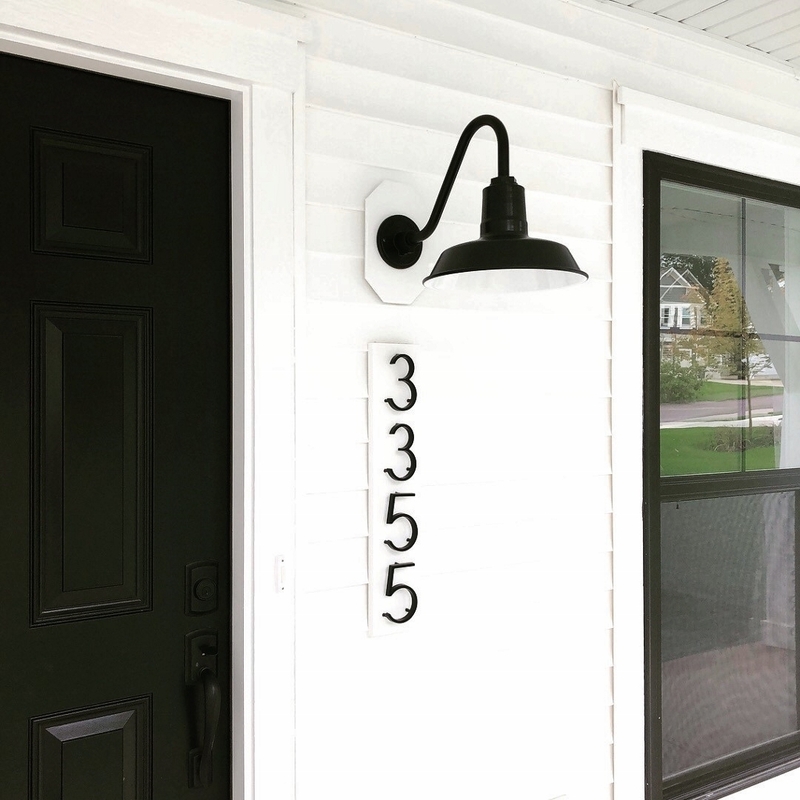 “I wanted lights made in the USA and was looking for a matte black finish with just the right style for the gooseneck arm,” Bianca notes. “I love that I could customize this combination. 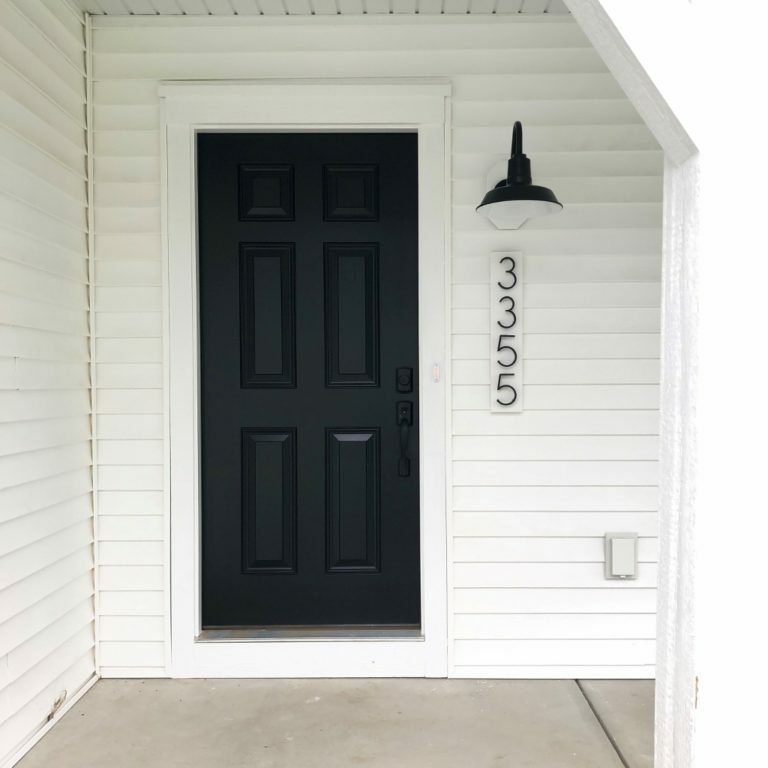 I bought a single light first to ensure the style of the gooseneck arm was just right.” Bianca and Leo made the address numbers, and the Original™ offers the perfect splash of downlighting. 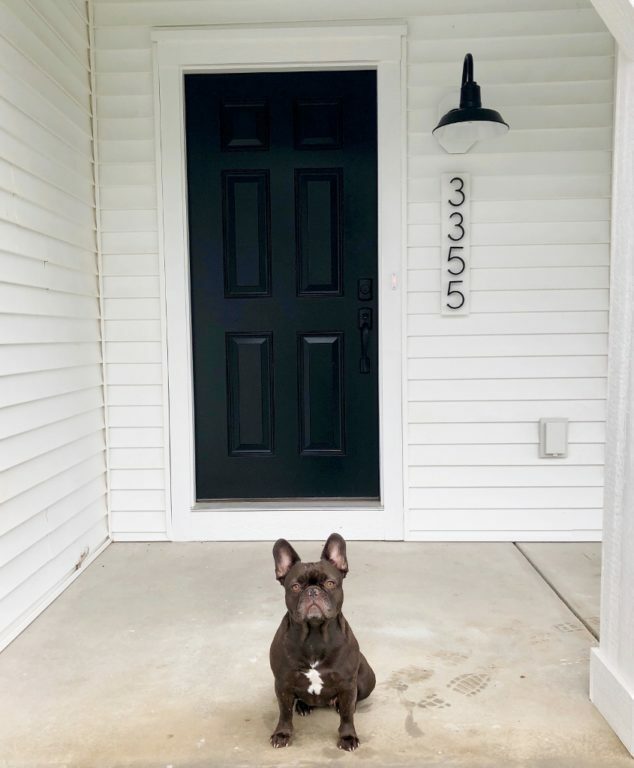 Gaia, her adorable French Bulldog, obviously approves! The Original™ Warehouse Gooseneck Light is one of our best-selling fixtures thanks to its iconic style. With five shade sizes and more than two dozen powder coat and natural finishes to choose from, this versatile fixture adds elevated style to any home.